How often do you find yourself going to the dentist for anything other than pain and discomfort? An alarming number of people are not seeing their dentist for health checks and instead, wait until something goes wrong. But how do you know when a trip to the emergency dentist could be on the cards? Here are a few tell-tale signs. As an adult, you should not have any loose teeth. If you do, something has gone wrong, and you now need a trip to the dentist to find out what it is. When you injure a tooth to the point of it being wobbly, nerve or jaw damage can be a risk – especially if you have knocked it loose. Even if you haven’t, seeing your dentist means they can run some tests to work out what is causing the loose tooth. Sometimes gum disease and infection are to blame. Bleeding gums is often a sign of gum disease, which is something you can avoid with regular flossing and brushing. However, if your bleeding gums are accompanied by achiness, then that’s something that might require you to see your dentist. If you do not treat these early stages of gum disease, you may not be able to return your mouth to the healthy state it was before. You may not want to know this, but hospital plumbing according to J Sutton Plumbing is a huge reservoir of drug resistant superbug germs. They splash about in the plumbing and share their superpowers with other bacteria. Checks of plumbing in major hospitals show drains can be full of dangerous bacteria. The thing is that the germs are breeding down there and passing their drug-resistant properties on to other germ species. The superbugs are not found anywhere else in hospitals and as a result are not a threat to the general public. However, hospitals should be aware of the potential problem and keep ahead of any possible risks. The search for these germs was brought about by the deaths of 7 patients after an outbreak of antibiotic-resistant infections. They discovered a bug by the name of carbapenem-resistant Klebsiella pneumoniae. Medical centre officials made a concerted effort to find out how the patients became infected. Many of the bugs were found to be living in the plumbing and the sink drains even though these had been scrubbed out. An investigating team, independent to the hospital found that the bacteria could splash back out of sink drains. As you finish off the final chocolate biscuit in the packet, it suddenly dawns on you that you now have to exercise for hours to work them off. After all, if you don’t, that adage may come true: a moment on the lips is a lifetime on the hips! However, if you choose the right exercises such as BodyCombat at beats GX, you may be able to benefit from a far more rewarding calorie-burning experience. Here are some of the best exercises for burning off calories. BodyCombat is a high-intensity group fitness class that you can either do with other people or in the comfort of your home. Not only does it push you to your limit by involving many martial arts-inspired exercises, but it enables you to burn up to 740 calories in one session! These sessions run for 30, 45, and 55 minutes – all of which will prove to be one of the best cardio workouts you’ve ever experienced. 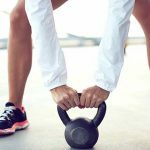 Sprinting in intervals can prove to be quite beneficial in the realm of calorie burning, even if it’s not as social as BodyCombat and other group fitness classes. Sprinting can help you to burn around 460 calories in as little as 30 minutes, with two minutes of sprinting then one minute of recovery. What’s more, it’s the pacing that really provides all the benefits. You don’t have to run continuously to work off all those cakes and treats! 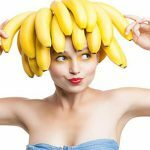 Everyone knows that bananas are one of the most popular fruits on the planet, and are also one of the most delicious, but did you know they make an excellent natural hair care product as well? Natural skin care and hair care guru Dianne Caine, tells us this is because they are packed full of antioxidants, vitamins, minerals, and nutrients, it was only a matter of time before someone was going to say: hey, maybe we could put this fruit in our hair? That time is now, and here’s why it could be something for you to consider. If your hair is feeling a bit lacklustre, your first thought may be to reach for a chemical-laden product. Instead, why not try a natural hair care product – or, something out of your fruit bowl? Bananas feature plenty of folic acid, which helps to make your hair shiny, hydrated, and moisturised. What’s more, because of the high levels of potassium, they also improve your hair’s overall health. Soft hair is something everyone aspires to have. However, some people have to work hard for it by using natural hair care shampoo and conditioner, as well as other tips and tricks from professionals. What if it were as easy as grabbing a banana from your fruit bowl and coconut milk and avocado from the fridge? Red Wine and Fish – Hot or Not? Not everyone knows that it can be tricky to pair red wine and fish together – not even the experienced waiter at your local restaurant, or the supplier of online wine. Often, you only find out after it’s too late that maybe that delicate fish would have been better with a Riesling instead. 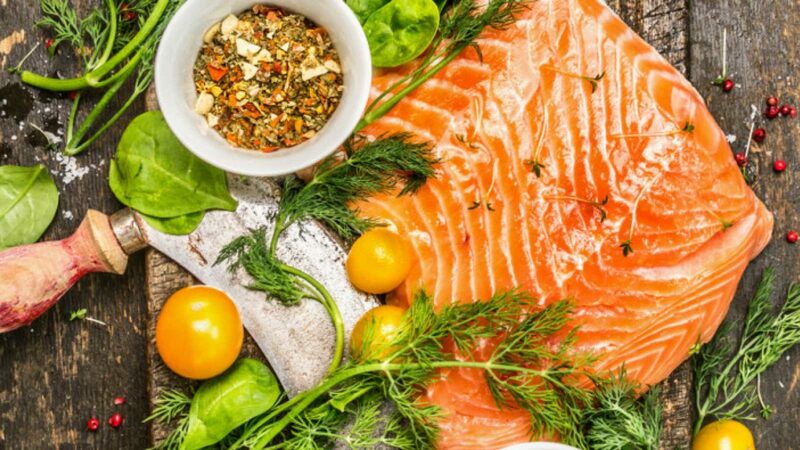 However, while there are more instances where red wine and fish don’t work than there are situations when they do, you may find this information below helpful. In fact, these tips may be something you can keep in the back of your mind the next time you order fish at your local restaurant. If you are going to be eating grilled fish, or fish that has been barbecued, seared, or features an intense marinade or sauce, then chilled red wine is going to pair beautifully. If it’s light enough and it can cut through even the oiliest of fish and intense flavors to gel beautifully in the mouth. Read the descriptions on the bottles when you’re buying from an online wine provider to make sure it’s not going to be too rich. There is nothing better than a delicious Surf ‘n’ Turf at your local restaurant. But, it soon calls for a beverage with which to wash it down. Believe it or not, when you pair seafood and fish with meat, red wine seems to work quite well. In fact, in Spanish cuisine, it’s not uncommon for chilled wine to accompany fish and chorizo dishes. Wine and Cheese – What Works Best? It seems to be a classic combination – wine and cheese. It appears on many restaurant menus, and even online wine shops sell cheeseboard utensils so you can make a real event of it. However, did you know not all cheese will work with all wine, and vice versa? Because of the cheese varieties on offer, as well as the various wine options, it’s fair to say not all are going to be matches made in heaven. If you’re planning a wine and cheese night with the girls and you’re not sure what works and what doesn’t, consider these pairs below. A common rule to follow when trying to match cheese with wine is to think about their intensity. Is the wine or cheese strong in flavour? Or, is one stronger than the other? If you were to select an oaky red and pair it with a mild Gruyere, for example, you would find the wine overpowers the cheese. Therefore, always match intensity levels. Aged cheese with bold red wine is a good example. As cheese ages, the flavours become more intense. As a result, the high tannin level in the wine begins to complement the fat content and richness of the cheese. Most combinations you see on any restaurant menu will work well, but if you’re not sure, think of the number one rule: equal intensity. Tip: If you have purchased a rich red wine from your local bottle store or an online wine shop, select Gouda, Parmesan, and Provolone cheese to accompany it. There are many different countries to enjoy when you are on holidays, so if you’ve been going to the same one for several years it might be time to think outside the box and choose somewhere different. So many people go to the closest country, or one that has the cheapest accommodation of flights to get there. But it’s a shame not to travel to other countries that offer a great deal, even if you can’t swim or surf there. Go to a country covered in snow. The children will love learning how to ski and end up loving it as much as swimming. Switzerland or Norway are good choices, but there are many more European countries that have snow, not to mention Britain and the US. Kids can go tobogganing, snow-boarding and sleigh-riding. They can make snowmen and have snowball fights. Few children – and adults – in Australia get to live in snow and learn what it is like. Go to Britain and go boating around all the rivers. Teenagers will love learning how to handle a boat and it’s a great way to see the countryside, not to mention all the historic sites that we’ve all read about or heard about on TV. While there catch a ferry over to France and visit Paris and some of the other many interesting places. Depression is an insidious condition and even though you may easily recognize the symptoms in other people, it is much harder to recognize depression in yourself. If the depression is not very severe, you may think you are just feeling a bit off, but you don’t know why. Sometimes, it may just get better by itself, but other times it does not, and may become worse. If you have had the symptoms for some time, you may forget just how good life used to be and that is the big danger; accepting how you feel now as the norm. If you don’t enjoy life as much as you used to, it is a good idea to ask friends or loved ones if they have noticed any change in your behaviour. It could be that you have become more irritable or you refuse to go out with your friends like you used to. If you are not as happy as you would like to be, think about why that might be. Naturally, if you have suffered an emotional or even physical trauma of some kind it is going to change you for a while until you come to terms with it. But if you can think of no reason why you should feel down, then it is time to look at what is happening to you. Many people run for exercise and this is a good way of burning calories as well as hardening your body. Running uses many of the different parts of the body, however if you run the wrong way it can cause injuries such as shin splints, plantar fasciitis and hamstring pain. Once, these injuries were an accepted part of running and no one thought they could be avoided by running a different way. Runners often push off with one foot while stretching their other leg as far to the front as possible. This is not good for their balance; the reaching foot will come down heavily and must stay on the ground absorbing the weight of your body as it catches up. If you can hear your feet slapping the ground hard as you run, you may be using this technique. How Are Your Stress Levels? Most health care professionals now agree that stress has a large part to play in many diseases from the common cold to diseases that are major and can be fatal. When a person has a lot of bad stress in their life, their immune system often gets worn out, or cannot work the way it should to protect them from such diseases. This makes their body far more likely to become a victim of things like heart disease, ulcers, digestive problems and many other enemies of health. It is well-known also that having a pet can reduce stress levels to the extent that people even live longer when they have a pet to love and care for. Of course, not everyone can have a pet for various reasons. If you are at work all day, leaving a pet alone in the house or chained up in the back yard is cruel. Then there are people who suffer allergies to pet hair and dander, making de-stressing with a pet impossible. So what can you do? One way to ensure your stress levels don’t get out of hand is to create a quiet place in the back garden or even in the home where you can relax. It should be a private place where there will be minimum noise and interruptions. You can do this by creating an outdoor space using comfortable outdoor furniture that is easy to relax on. Much outdoor furniture is not all that comfortable, so make sure you test it out before purchasing. Back support is important and you may need to have additional cushions, otherwise you won’t want to sit there for long. When you have a disability such as a lost limb, vision problem or a disease that affects you physically it is all the more important to stay healthy. And sometimes it is extremely difficult to do the things you should in order to gain optimum health. All you can do is try your best and be guided by your doctor or health care professionals. Here are some of the ways you can stay healthy both physically, mentally and emotionally. Physically: Get all the exercise you can with your type of disability. Whether you go to a gym, can swim in a pool, have some form of exercise aides in your home or depend on another person to help you exercise, it is vital to move your body in as many ways as possible to keep as fit as you can. If you don’t it will be very difficult to stay healthy and your muscles will just waste away until you can hardly move at all. Many people are really serious about training properly so their bodies are in top shape all the time. Others just want to lose a bit of weight or to sculpt some part of their body so it looks firmer. That’s okay too; having some kind of goal, such as running a marathon or losing 5 kilos, is important and helps you to focus. Here are some training tips and strategies to help anyone achieve their best during training. When you are serious about training, you’ll be doing it most days. That means your body needs more fuel. It is far better to eat 5 small meals a day than 3 larger ones. Make sure every mouthful is nutrient dense. When you eat your metabolism is stimulated. Stay hydrated because you’ll be sweating hard during training. Some fitness experts recommend drinking a glass of ice cold water first thing in the morning as it boosts your metabolism for 90 minutes. Lower body resistance training is needed to flatten your waistline. You also need to eat fewer carbs and calories. To burn stored body fat you need to exercise past the 20 minute mark, because during that first 20 minutes your body burns carbohydrates rather than stored fats for its fuel. If the scales don’t show a decrease in weight over several weeks it’s probably because you are gaining muscle as well as losing weight. Get a more accurate picture by taking photos of the back, front and side of your body so you can see how it’s changing. Make sure to wear the same clothing and be in the same light conditions each week. Even though cholesterol is made in the body, it can be increased by the things we eat. Having high cholesterol is really bad for you as it blocks up the arteries and prevents the blood from going through in the way it should. This can cause heart attack, stroke or other problems such as poor circulation. There are two kinds of cholesterol; high density lipoprotein (HDL) and low density lipoprotein (LDL). The former is good and the latter is bad because this is what gives you the kind of cholesterol that blocks the blood vessels. This is known as plaque and causes the arteries to harden and narrow so the blood flow is restricted, causing heart pain and often, heart attack. Here are some easy ways to reduce your cholesterol levels so you can be healthier. Eat less saturated fats such as that from meat and junk foods. Eat more healthy choices such as vegetables fruit and nuts. Reduce your intake of processed meats such as sausages, Devon, ham and hot dogs. Avoid the skin of chicken. Have low fat or no fat option in drinks, cheese and yoghurt. Go low on the bought cake and biscuits – home made (not packet cakes) are better. Get plenty of exercise. This also helps to lower cholesterol. There are many unsung heroes in the world and those who care for an ill spouse or disabled child are high on the list. The only trouble is that according to statistics, carers are under such stress from what is often a 24/7 job that they end up dying ahead of those they care for. Financial planning with good advice from a financial advisor like Andep can really help these wonderful people stay the course so they are on hand to care for their loved one right till the end – something they would really want to do. A financial planner or advisor is needed to help carers plan their daily budget as well as making plans for the future to ensure their loved one is taken care of if they are not there to do it. Once the stress of financial matters is taken care of, the carer will be less likely to suffer from a stress-related disease that could be fatal. If you want to hear lots of laughter at your wedding reception or party, hire a photo booth so your guests can dress up and have a lot of fun taking funny photos of themselves and their friends. Laughter gives us many health benefits and here are some of them. While it may seem like a simple thing to do, laughter is considered to be a great workout because it exercises your shoulders, diaphragm, abdomen and respiratory system. This is why having a good belly laugh makes you feel relaxed and happy afterwards. Laughter relieves stress, decreasing stress hormones such as cortisol in the body, while at the same time increasing health-inducing chemicals. It stimulates the blood circulation and gives your muscles a gentle workout that stimulates them and alleviates stress. Deep vein thrombosis is not only caused by sitting for long hours in an airplane; it can be caused by sitting at your computer desk for long periods without moving. If you are a website designer, computer programmer or an SEO consultant for instance, you can get so caught up in what you are doing that you forget the time and even where you are. You can even forget to move for hours at a time. Exercise is essential for a healthy body, but how can you get enough exercise when you have a sedentary job that requires you to sit for long periods of time? Here are some tips to help you get the kind of exercise you need to remain healthy and avoid problems such as deep vein thrombosis. Get up at least once every hour and stretch, then walk to the water cooler or around the office for a few minutes. While seated, move your feet and legs around to different positions. Balance your feet on your toes and bounce your heels up and down for five minutes. This is easiest if you place your toes under your chair. Lift one foot off the floor and swing it backwards and forwards several times, then change to the other foot. Have a footstool under the computer desk so you can sit with your feet raised up a little for some of the time. Stress that goes on for a long time without any relief is very bad for you. It can cause many different physical symptoms from indigestion and ulcers to stroke and heart attack. If you run a business or have work such as a business consultant where you are dealing with many different kinds of people and their problems, stress is sure to accompany your working week. To stay healthy, it is important to find ways of reducing your stress. To do that well, you need to define what kind of stress you have. Emotional stress – this is caused by dealing with people who may be hard to get on with for some reason. It may be the boss who expects you to get through a workload that is too heavy. It could be clients change their minds constantly causing you to lose time in redoing something they don’t want or are not satisfied with. Or it could be caused by other employees that harass you or cause problems at work in some other way. Emotional stress from home can even cause your business day to be stressful. If you have to travel for more than an hour to work, it could be costing you a great deal more than you realise. It is not only the cost of fuel and wear and tear on the car, there is the cost in time you need to consider. It may be much better for you to find some removalists like Brilliance Removalists who can move you to a new home, instead of spending all your spare time travelling. Heart health is important, since many people die of heart attacks every year. Most heart attacks have serious consequences even if they are not fatal. You have to take a great deal of care once you’ve had one and it can totally change your life. But by following these 10 simple tips, you can keep your heart much healthier and avoid having a heart attack. Reduce or give up smoking. Smoking is very bad for heart health since it reduces the amount of oxygen in the blood. It not only increases the risk of heart attack, but of other baddies such as stroke. Manage your cholesterol levels. Cholesterol is a fatty substance in the blood that sticks to the walls of your arteries, preventing blood from flowing freely through your heart. Watch your blood pressure and take medication to reduce it if it’s too high. High blood pressure is a risk factor for heart disease. It’s dangerous because you can’t feel anything wrong. It is wise to have your blood pressure checked every time you go to a chemist. It’s usually free. If you have diabetes, your risk of heart attack is higher. Always follow the doctor’s orders to best manage your diabetes. Exercise is an important part of staying healthy. If you have a sitting down job, try and get up at least once an hour to stretch your legs and get the blood flowing to keep your heart healthy and prevent deep vein thrombosis. Go walking, cycling, dancing or swimming. Play in the park with your kids. Take up gardening. Keep your weight down by exercise and by eating healthy foods – and amounts. Obese people are more at risk of heart attack. You may need help to get weight down to an acceptable level if you’ve tried and failed to lose weight. Training your child may be considered by many parents to be the more difficult part of parenting. It’s easy to change a toddler’s dirty nappy, but not so easy to train him or her to use the toilet. It’s easier to feed your toddler than to let them learn by doing it themselves. Both the above scenarios are essential if you don’t want your carpet to get dirtied with food or other unmentionables. Carpet cleaners such as Brilliance Carpet Cleaning will always be necessary when you have kids, but it can be minimised with the right training. However, training takes patience and you should not expect your little ones to learn something on the first day. Their little minds don’t always grasp the concepts of cleanliness that you present to them. And when they do, it takes longer to establish the habit in them. You may love hugs and kisses, bathing and dressing your child up in pretty clothes, but training them to be and do what you want is a whole other ball game. So how can you make it easier? Almost everyone would know someone with cancer of some kind. This dreadful disease seems to be at epidemic proportions nowadays so what can we do to fight it? It may seem too simple, but the foods we eat give our bodies cancer fighting nutrients that can help to prevent it from affecting us – but only if we eat the right kind of foods. What are they? Many vegetables and fruit contain health and life giving nutrients, but some have more in them than others. Here are some to include in your diet to help prevent cancer. Broccoli – while all cruciferous vegetables do contain cancer-fighting properties, broccoli is the one that contains high levels of sulforaphane. This potent compound will boost your protective enzymes and flush out the kinds of chemicals that cause cancer, according to Jed Fahey ScD. A study in Michigan University proved that sulforaphane also targets cancer stem cells that cause tumours. Organising all the different components of a wedding can be one of the most stressful things you’ve ever done. It’s a good idea to try and simplify things were possible, because stress can be really bad for your health. For instance, signing up for a wedding package will save you looking for a photographer, although you may still want one for the ceremony or for more formal studio photographs, depending on how formal your wedding is to be. Some short-term stress is good for you. It gets the adrenaline running and enables you to perform at a higher level when needed. But stress that goes on for a long time such as the months it takes to plan a wedding can eat away at you insidiously, causing all kinds of health problems and even make you difficult to get on with. There is a growing need for people to improve their lifestyle through the means of supplementing their diet with the proper foods that are enriched with the right minerals and vitamins. You need to ensure that you consume whole foods that contain a high amount of fibers, enzymes that catalyze the reactions in the digestive tract etc. 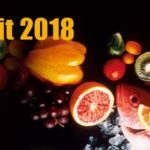 In this section we have taken the privilege to find the right foods for you which will translate into a better self reflecting image of yourself. There should be a high intake of almonds in your dietary system. These almonds help you in maintaining and balancing the protein and the magnesium content in your body which is necessary for building the tissue of your body. A snack of almonds consisting of 14-15 almonds that are unsalted will take your body a long way. Your body is in continuous need of antioxidants that will help your tissue from aging and that combat free radicals. These radicals inhibit the growth of your tissues and make your tissues and cells degenerate. Most of the researches have proved that there is a correlation in the use of antioxidants and that of increase in lifespan. Landscape design is meant to create a beautiful outdoor space that people enjoy spending time in, but it does far more than most people realise for their health. Many studies have shown that spending time outdoors either in a natural bush environment or one that has been created on purpose, has many health benefits for those who are sick in some way, either mentally or physically. In fact, one Perth hospital has had an outdoor space designed especially to help in the recovery and rehabilitation of patients who have been injured in some way and for those who are suffering from mental problems such as depression. Simply walking around the area the way it is designed, gives patients small challenges to overcome and helps them to exercise in a way that gets those injured muscles working. Their carers can actually measure their improvements daily due to small markers that are not very noticeable, so don’t spoil the landscape. Many people realise that being outside in such a space either at home or at a public park, for instance, makes them feel much less stressed and has a calming influence. Most doctors agree that constant, long-lasting stress is big factor in causing many diseases as the effect it has on the body is so negative. It can cause high blood pressure which can lead to heart attack or stroke and many other nasty health problems. How To Combat Against Skin Infection In Summer? The season of summer means more physical activities and outdoor exposures. People get a chance to flex their muscles finally and get out in the sun after the long winters. But the major drawback in this season is the skin irritation and infections it causes. It is obvious to sweat in summer, and that means it is easy to catch infections. There are various kinds of skin infections that a person develops during summer. However, with proper care and attention, these can be treated well. A person needs to make sure he takes care of his skin, both before and during the infection. Some of the major skin infections and their treatments are given below. Heat Rash: As the name suggests, this infection is caused due to the intense heat in the summers. It is caused due to the perspiration being trapped in the sweat ducts. It takes the shape of tiny red bumps in skin folds or other places where clothes cause friction. Treatment: It usually heals itself if the skin is given enough air. It is advisable to wear clothes that are lightweight and breathable and avoid creamy and oily ointments. These rashes last for around 2 or 3 days, but if they still don’t cure, you should see a doctor as it can be an infection. Poison Ivy: These plants are not specifically poisonous, but many people may be allergic to them, and this may cause them to develop allergic reactions. These may include red patches along with swelling, warmth and itching. It can normally be seen after 12 – 72 hours of contact. Treatment: Prevention is better than cure, and thus, it is advisable to wash hands and clothes after any contact. If the infection still occurs, you can use OTC calamine or else antihistamine depending on the severity to control itching. Once the itching is sustained, use a topical cream. If this still doesn’t help, you should consult a doctor. Meditation and yoga have always been in our culture since ages; that is, ever since the emergence of Vedas. It is beneficial in many ways and has some benefits associated. Yoga helps to reduce weight and get a healthier and toned body. It also makes the skin shine making you look and feel attractive. You can attain peace of mind by practicing yoga and meditation on a regular basis. If practiced yoga alone or meditation is alone, then also you can achieve many benefits. There are innumerable benefits that one can avail through yoga and meditation. Few of them are discussed below in brief. If you are practicing yoga regularly, then you can manage your stress with ease. Yoga helps in decreasing the inflammatory response made to the stressors on the body, which leads to a decrease in the possibility of stress and stress-related situations. High blood pressure can be avoided by yoga and meditation as these practices help in reducing the stress level of both mind and body. On the other hand, meditation is responsible for the reduction in anxiety disorder and panic disorders too. There has been an old saying that “what you are is what you eat”. This statement is partially true with research supporting this fact. There has been research in the field to check the personality along with the food intake of a person. There is evidence of food that help you improve your stress, help memory as well as aid you in your sleep. That is why there is a need to choose the foodstuffs you need in your dietary plan. In this section we will take a look at some of the most essential foods for your diets. Water: A huge proportion of our bodies consist of water which is surprising. This is the why you need to replenish your body with water every time your water levels run down. Make sure that you include your diet with foods that provide you with enough water to help you sustain your health. Men should drink around 3 liters of water and women should consume around 2.2 liters of water in their diets. It is not necessary to drink only water but fluids that contain a good percentage of water which can be extracted into the body. While Botox injections is now commonly used to treat wrinkles and is useful to help treat many medical conditions and diseases, there are still some misconceptions about what it can and cannot do. Read on to find out 7 myths about Botox. The best time to use Botox is when you see wrinkles appearing. In fact, the best time to use Botox is before they appear. If you wait until you have wrinkles, it is much more difficult to get rid of them, especially if they have been there for some time. This means that the muscle causing them has become fixed into place and will be difficult to treat. Scowling, raising the eyebrows and squinting are all major causes of wrinkles. By using Botox early you may be able to use less in the long run. If you stop using Botox your wrinkles will get worse. This is also a myth. Once the Botox stops working your wrinkles will go back to how they were before. However, if you have used it for many years and so are now older, there will be a natural progression of muscle contraction that may make your wrinkles seem worse. But even without use, they would have been the same. You are never too young for Botox injections. Actually, many doctors disagree with this statement. Younger people in their teens rarely have any problems with wrinkles or even faint lines showing in their faces. Unless you have a problem with your skin, you won’t lose anything by waiting until at least in your early twenties – maybe even late twenties. Why Is Breakfast Considered The Most Important Meal Of The Day? Out of all the big and mini meals we consume on a daily basis, breakfast is considered to be the most important of them. It was in the 13th century that the word, ‘breakfast’ came into existence. It was essentially introduced after the verb form of ‘breakfasting’ and ‘breakfasted,’ and it was called that because it would be the first meal after fasting since the previous evening’s meal. Not only does breakfast kick – start your metabolism but also energizes your body to get things done all throughout the day. One tends to achieve a better focus, and several studies have even linked consuming healthy breakfast to the key of preventing heart diseases and another body – related diseases. It is as simple as this when you wake up; your body requires blood sugar to push your brain and muscles to function properly. Moreover, if you skip breakfast, then you are more likely to over – eat later in the day. When you sleep for 8 to 10 hours, your body’s glucose levels tend to decrease. Breakfast is a way of restoring glucose levels in your body. Greater glucose levels improve memory and concentration levels by making the brain healthier. It keeps us happier and stress-free at most times. Getting off the comfort zone and trying new things can be both scary and exciting all at the same time. Same idea applies on getting yourself signed up in the wine society. And that’s where the challenge comes up—you have no idea, or at least at the start. When buying wine, from the infinite selection of wine producers to the list of favorites you want to keep a record on, not to mention the fact that you don’t know how to open a wine bottle or the right temperature to keep the wine in its most desirable taste, the list of factors to consider can be very tricky—and surely you don’t want to mess it all up. Mistakes are inevitable—we learn from them—but in order to lessen the hassles and save money from trying the wrong ones and doing the most obvious mistake all over again, we summed up the beginner’s guide to wine. First things first, know what you’re dealing with—and that’s wine. It is simply a beverage made up of fermented grapes or other fruits. There are different types of wine you must be aware of—white, red, rosé, sparkling, fortified wine—which comes from different kinds of grapes or fruits. Developing your taste on choosing your favorite from these types can be very confusing. So you start from the level of sweetness that is categorized to three—dry, semi-sweet and sweet. Dry wines have their sugars fermented to alcohol; semi-sweet wines are touched with sweetness for balance in acidity; and sweet wines leave more sugars un-fermented to alcohol, making it less alcoholic. Once you have made it through your addiction, you must leave the drug rehab centre at some point. One thing you need to keep in mind is that you have likely burned some bridges along the way or said some hurtful things to those that you love. It happens. Many people are quite understanding because they know that you were under the control of your addiction. Now that you will be leaving the rehabilitation facility, it is time to work on some of those relationships, but how can you once trust has been broken and stomped on? Below, we will go over some ways that you can begin to build trust with your loved ones AFTER you have overcome your addiction. One of the best ways to rebuild trust once you have beaten addiction is to be proactive in your relationship with people. This means that you should reach out to them, suggest things for the two of you to do, and show them that you care and appreciate them in your life. You can confide in your loved ones and you can be there for them as well. One of the reasons why your relationship may have fallen apart in the first place is because of your lack of presence. Make note of this and promise to be different and involved. Remember, actions speak louder than words, so make sure your actions are heard. Indonesia has been overrated by several tourists visiting the place from across the world. Some exclaim it to be too touristy, while others say it is one of the best experiences in their moves that they can have. If you ask me, it all depends on how you would explore this tourist destination, especially Bali, Indonesia. Bali is a well-known spot in Indonesia regarding food, love, and dreams. But, did all this begun in Indonesia, at all? Regardless, of the expanded locations, Indonesia is still what it is, somewhat but not quite. The country well deserves the tourist interests that it is still receiving. The top five must-visit locations that sufficiently records and demonstrates why you should still go to Indonesia are listed below; please have a look. According to Easy Bali Villas, apart from it’s beautiful hotels and stunning villas, it is popular for its amazing sunset; so, create sure capture at least once in awhile when you are there. The most popular areas to capture an amazing sunset view are Rock Bar, cliff-side temple Uluwatu, El Kabron, and Tanah Lot. Take a great sunset day trip to Tanah Lot and Uluwatu. If you are on the way to Uluwatu, then don’t skip a night kick dancing. To get the most of your recreational holiday to Bali, seek the services of one of the experienced guides and personalize a day journey to see Bali’s features beforehand. People with a disability are the most at risk of unhealthy weight gain and losing muscle tone, especially if they are wheelchair bound for most of the time. It is essential for them to have some kind of exercise to increase lung function and keep their cardiovascular system healthy. Pilates will not only keep them more flexible, give them more stamina and boost muscle strength; an added benefit of exercise is that it increases endorphins in the body and so makes you feel good rather than depressed, something that many disabled people struggle with. Pilates is one form of exercise that many disabled people can take part in because it is low-impact. Developed by Joseph Pilates in the 20th century to help injured dancers and athletes recover their strength, the movements have been adapted from ballet, yoga and callisthenics. In the United States alone, over 11 million people practice Pilates. According to dental care experts Candlewood Dental Centre, many people don’t like going to a dentist in case they have to have a tooth out. The best way to avoid the need for an extraction is to go regularly so your teeth are kept in good health. Extractions don’t usually take very long and you won’t feel much pain at all. What is usually felt is the pressure as the tooth is pulled out and this doesn’t even hurt. You’ll need to have an injection to numb the site, but once the first one is done it is unlikely you’ll feel any more that are needed. As soon as the site is completely numb, the tooth will be extracted, usually in a very short time if there are no problems with it. You’ll have a wad of gauze placed into the cavity to bite on and help stop the bleeding. Then you’ll be informed of aftercare procedures to follow. If you are on the road to sobriety, maybe you have had a stay at a drug rehabilitation facility such as Sivana Rehab and you will find that there are many social pressures along the way. Drinking has become an activity that is done for fun, to entertain, and more. Unfortunately, just because you are on your path to becoming sober, the world around you does not stop or end the pressure. When you are out in public, you will find that you are offered drinks from time to time and you need to fight the urge to have one. If you are faced with a situation where the pressure is on, utilise one of the ways below to quickly squash the pressure and continue down the right path. If you are in a social situation where your friends are drinking, do not be afraid to drink a mocktail. This is also what most drug rehab centers suggest. But, wait, what is a mocktail? It is a non-alcoholic version of a cocktail. When you order one, consider ordering your favourite juice or combination of juice with some carbonated or bubbly water. You will feel like you are part of the crowd without actually having any alcohol. When presented with a drink or asked why you are not drinking, don’t hesitate to change the subject and move on to something else. Simply switch over to something that has been on your mind or start telling a story to take the focus off of the alcoholic drink. If you find that the pressure is brought back to life once you have finished telling your story or once the conversation is up, simply say, “No, I do not want to drink and would prefer not to discuss why.” Don’t be afraid to simply be assertive and persistent with your answer. Liposuction is a medical procedure that physically removed unwanted fat from the body, arms and thighs. Oddly enough, many people consider it a weight-loss procedure when in fact it is actually a body sculpting procedure that removes fat. These fatty deposits form in many areas of the body and are not always affected by diet or exercise. They can make your body look lumpy or bumpy in all the wrong places. If body shape is important to you for whatever reason, you may want to consider undergoing liposuction. Liposuction is performed by a cosmetic surgeon (medical doctor) who is experienced in the procedure. It is done by inserting a small tube called a cannula just under the skin and sucking out the fatty deposits. These are usually kept until the procedure is finished so that the doctor knows how much liquid has been removed from your body. This will ensure you don’t become dehydrated. It’s a good idea to be prepared ahead of time for any kind of emergency so that you know what to do and have the right things to hand to treat it. 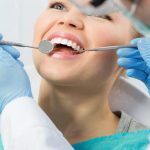 For instance, if you need an emergency dentist like Joondalup City Dental you won’t be so likely to panic when you know what to do when you need to see your dentist. This is especially important for those who play sports on a regular basis or for people who indulge in extreme activities. Having a dental first aid kit in the car and knowing what to do if a tooth is knocked out will ensure that you have the best chance of saving the tooth. Hygiene is one such thing for a human being that never is taught it comes from habit and daily routine. From very young age almost all of us are thought to stay neat and clean whether at home or school. This is because good personal hygiene not only necessary for appearance but also for good health and well-being. If you make it a habit of staying clean it won’t take any time for you to take care of your health and personal hygiene. But sometimes we think that we take enough efforts to stay hygienic but is that true? Let’s find out in this guide which will surely enhance your personal hygiene. It is a must to take a bath in the morning this will keep you clean and fresh all day. Some people don’t bath daily which is not a good habit; this can give them skin problems like allergies, itching, rashes and more. It is also good to have a bath in the evening with little warm water to remove the dirt of the entire day from your body, and reduce the oil in your hair. Nails of the hands are mostly the home for dirt and germs as they come in contact with everything you touch. So keep them clean, wash them as much as possible and keep them short so that dirt won’t accumulate in them. For all those would-be mom’s, keeping trimmed nails is one of the best ways to keep away from the unwanted tummy stretch marks. As reported this week from holiday experts Easy Villas, in the face of the influx of western influence into Bali, such as extravagant homes and villas and hotels the Balinese architects have, for the most part, managed to remain the proud, accomplished builders in Balinese architecture they are. They have also perpetuated the existence of traditional Bali design because of their dedication to it. The ‘undagi’ are the traditional Balinese architecture, and it is rumored that before designing and building any new structure, they take their modern ideas and consult ancient manuscripts in order to ensure an authentic Balinese erection by following the guidelines in the ancient scribes. In traditional Balinese architecture and design, a roof is constructed of bamboo and rattan, and then tapered to a point. Elaborately carved doors and furniture serve to celebrate the splendor of the temples with their timeless elegance and beauty.